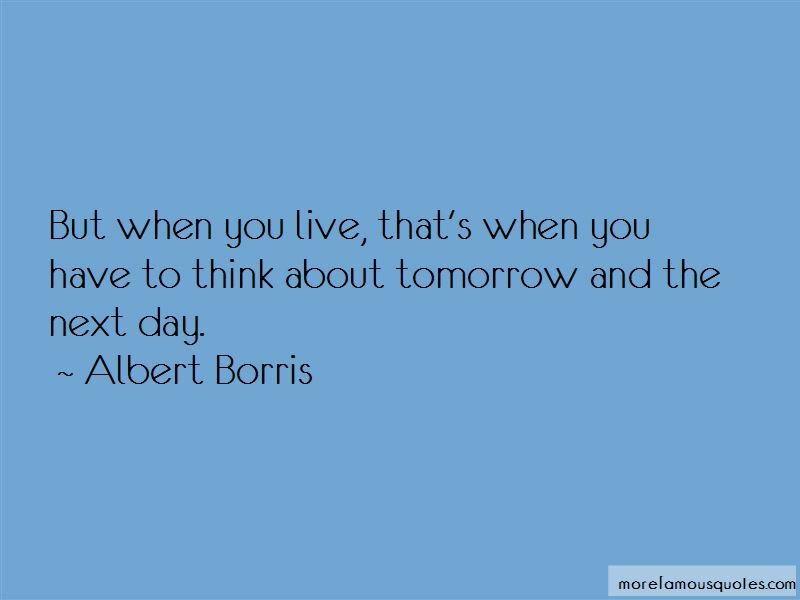 Enjoy the top 20 famous quotes, sayings and quotations by Albert Borris. “Suddenly I grasped what was happening- they were all trying to save me. I know why you picked her," Frank says, still sitting on the grass. "She's like you, sort of. A writer. Unhappy. Wishing she had someone who understood her. That's what killed her- being lonely. Just waiting for the water to boil. Burning shower. One of the only things that helps when I'm totally freaking out." I'm not sure how to respond. "So," I whisper, "you want anything?" He said if you do what you have to do today, all the tomorrows have a way of working things out by themselves. I imagine that she's looking at the stars and thinking about how small and insignificant we are down here. We're little ants on a pebble, hurtling through space. 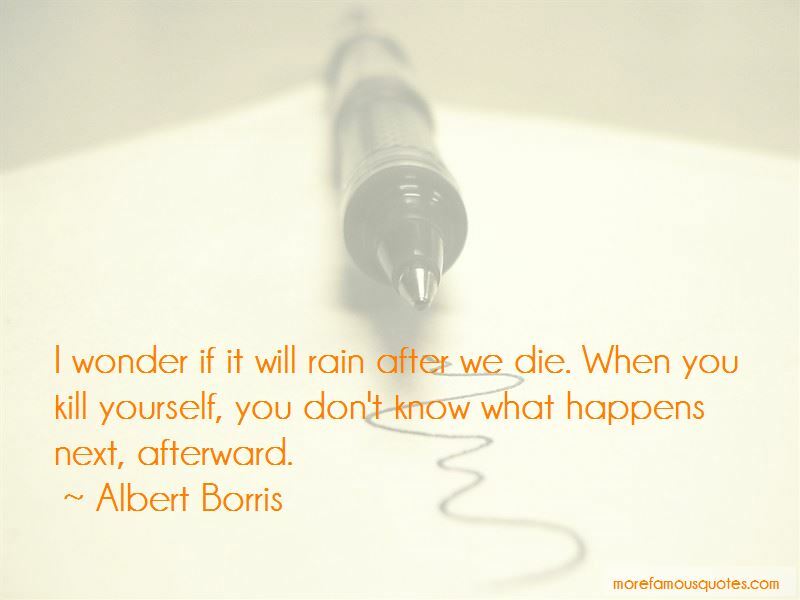 Want to see more pictures of Albert Borris quotes? 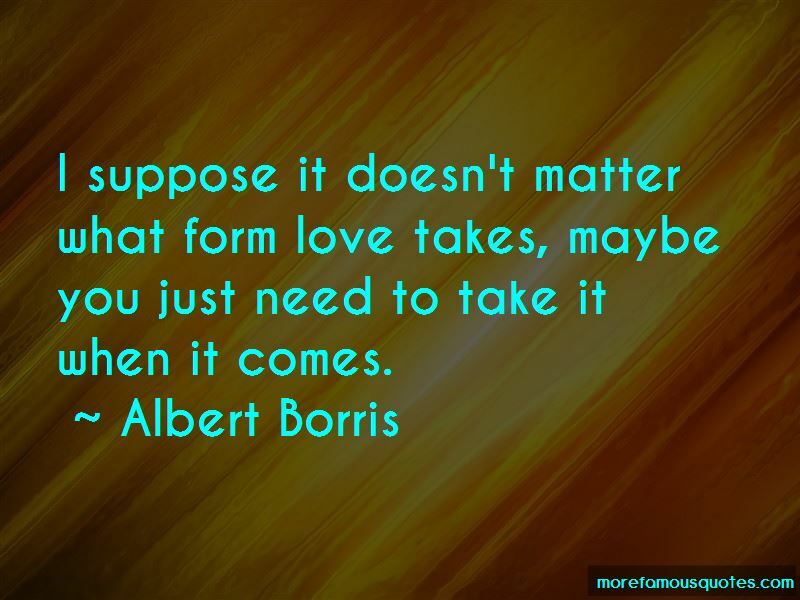 Click on image of Albert Borris quotes to view full size.